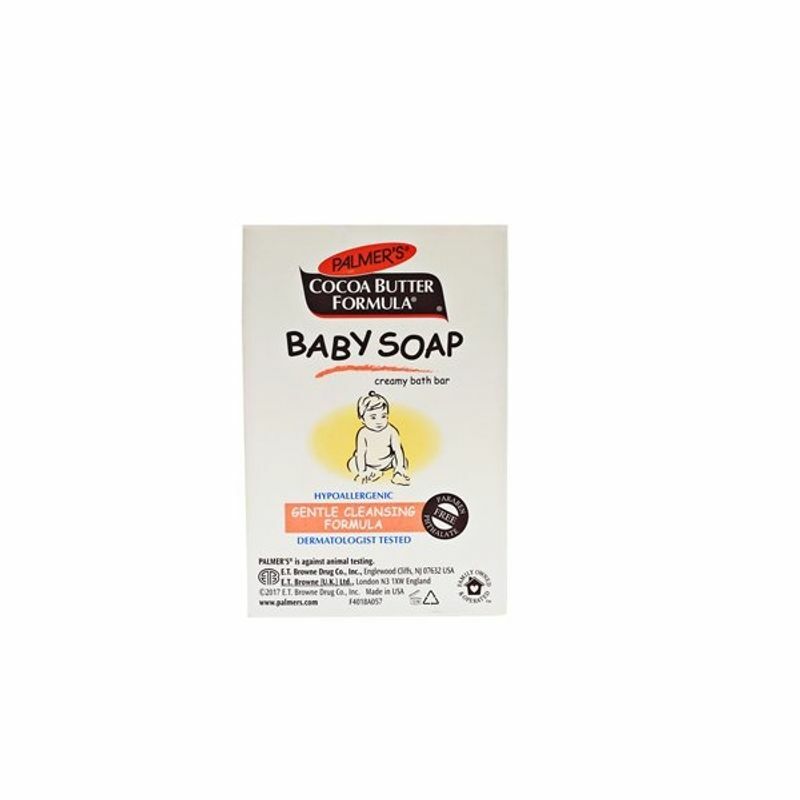 Palmer's Cocoa Butter Formula Baby Soap is a creamy, rich-lathering bath bar that softens and moisturizes baby's delicate skin. 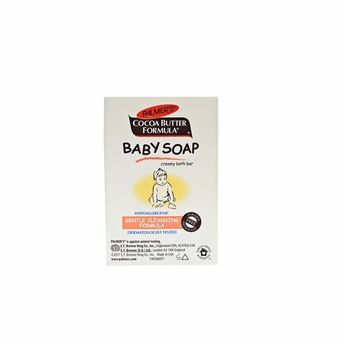 Formulated with ultra-pure natural butters, Cocoa Butter and Shea Butter along with skin comforting Aloe Vera, this hypoallergenic bar soap cleanses without over-drying skin.The Mild formula leaves skin baby soft and smooth with a calming fragrance. Vitamin E: A natural antioxidant, works with the body's own cells to protect it from the harsh elements that cause rough dry, skin.